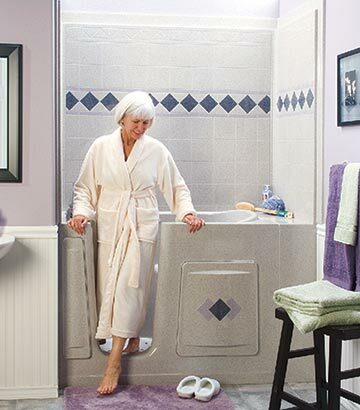 Mobility at Home helps seniors and people of all abilities live independently by offering safe, comfortable, and durable walk in showers and walk-in tubs for your home. 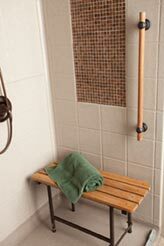 We offer barrier-free showers, handicap showers and re-modeler showers. 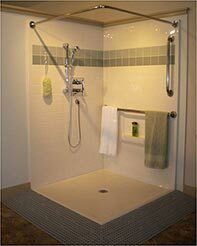 Mobility at Home does tub to shower conversions in less than 2 days. 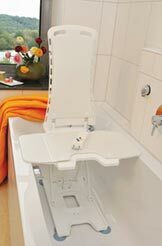 Our bath products are specifically engineered to convert a standard bathroom to be accessible, beautiful and safe. 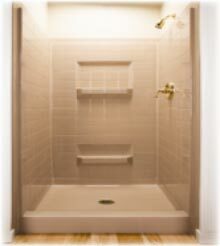 You don’t have to be elderly or have a physical disability to have a bathing issue or to want to remodel your shower. 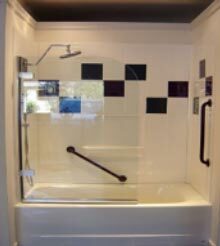 These showers and tubs convert a bathroom into an accessible living space not just covering up problems. With over 400 configurations available, you are sure to find the shower that fits your space and suits your décor. 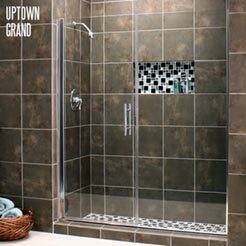 We can use Best Bath Systems showers and tubs or design a tile shower and customize it to your home. Our accessories include a handheld showerhead, grab bars, a fold-up shower chair, curtain rods and brackets, a heavy vinyl shower curtain, and a water dam. 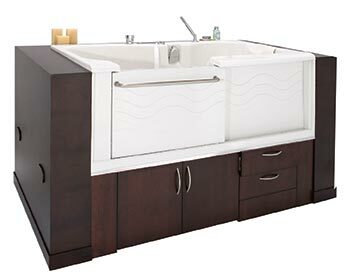 Learn more about Bestbath tubs and showers. Click here. 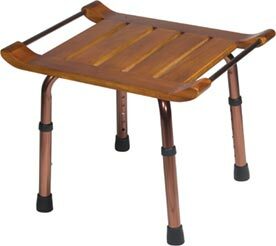 These minimize the strain for caregivers by elevating the tub to make it more accessible from wheelchairs, walkers and lifts. Bathtubs include sliding doors and a safety latch. 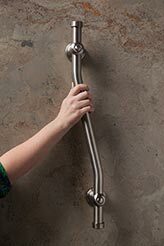 Grab bars allow for safety and easy movement. Ask us to show you the wide variety of options available when we inspect your location to offer an assessment. Color options are available to match your décor. 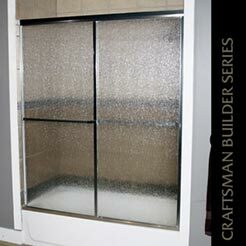 One way to make a bathroom safer and easier to navigate is to renovate with a barrier free shower. This means that the shower has a no-step or low entry/ threshold. 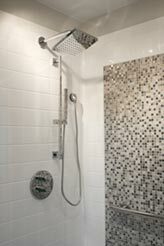 Installing this kind of shower, especially before the risk of falls, is an important step towards maintaining independence and safety. These can be used with or without shower doors. There are many colors, designs and styles to fit any taste and budget. 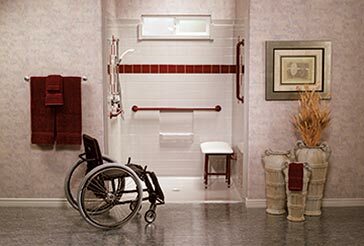 Mobility at Home can modify your existing bathroom with precision-fit modular fiberglass models to make entry safer and easier by eliminating the need to step over the tub wall. Some of the available products offer a classic tile look and polyester gelcoat finish. 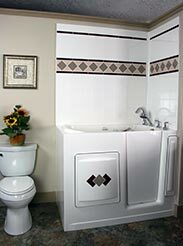 Custom tile accenting is available, and some baths include a seat and grab bar installed to meet ADA requirements. 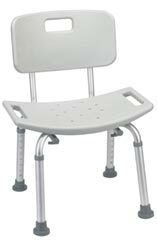 Safety features include wood-reinforced walls for placing grab bars and seats anywhere! We offer a wide variety to keep you safe while in the shower. 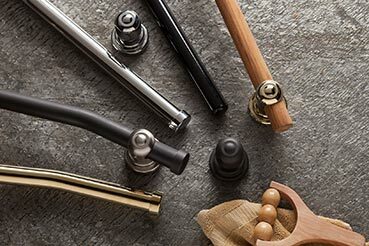 From traditional or adjustable length suction cup grab bars to chrome or white powder coated grab bars, our selection is diverse so that you can likely find a style to match the décor of your house. Ask us to see the color, sizes, materials, and functions available. Raise or lower yourself with ease to enter or exit your bath as needed. 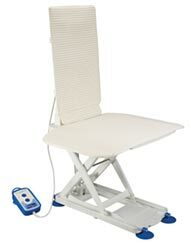 Features include anti-slip seats and standard lifting capacity. These allow you to enter a tub by sitting on a safe, stable plastic bench. These have adjustable height legs to accommodate any bathroom. 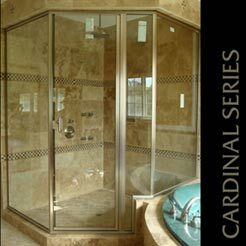 Cardinal Shower Enclosures is a full service domestic manufacturer of shower enclosures, offering an extremely wide selection of models, finishes and glass options, from patterned to cast glass. Our enclosures are engineered to the highest possible standards for maximum reliability, and carry a lifetime guarantee against defects in craftsmanship and materials on extruded aluminum parts. We also produce all of our stunning cast glass in-house, ensuring the best quality for your enclosures and architectural glass applications. We have framed and frameless options available.